Columnist Bob Herbert’s homage to Robert McNamara on his peaceful passage at age 93 is apropos. Herbert was a draftee in the mid-60s. He, his friends and cousins, were sent to Southeast Asia to fight a lie-based war that no one, we learned later, wanted or needed. The boys drafted in the 60’s and 70’s for Vietnam duty had one advantage over today’s soldiers, in terms of their ability to morally and intellectually deal with being sent to kill in the name of Washington. Most of them didn’t ask to go, and didn’t understand why they were there. They were tools, but most were honest tools. Alternatives to patriotic uniformed slave labor in the draft era were minimal. The politicians of McNamara’s ilk had a moral and intellectual excuse as well. LBJ was doing the "war" in Vietnam as a jobs and welfare program. Jobs to keep the defense hawks out of his hair while he and the Congress pursued, at the time, an unprecedented domestic spending spree. Coming out of the 50’s with federal and state revenues flowing freely, there seemed to be plenty for both the warfare and the welfare state. Vietnam was and remains a good war in the eyes of the statists. I suspect that such gnarled and convoluted macro-logic helped keep guys like McNamara sane, even as he reflected later on what it meant to be responsible for killing 30 or 40 thousand young Americans, and perhaps three million Vietnamese during his tenure as Secretary of Defense. Justifying deaths of that magnitude is probably easier than living with the memory of single victim in an accident you might have prevented. I suspect many Americans employed by the state agonize more running over a kitten or a puppy in their driveway on their way to work than they do over the deaths of thousands, fallen because they lied, veiled the truth, did what they were told rather than what they knew was moral. 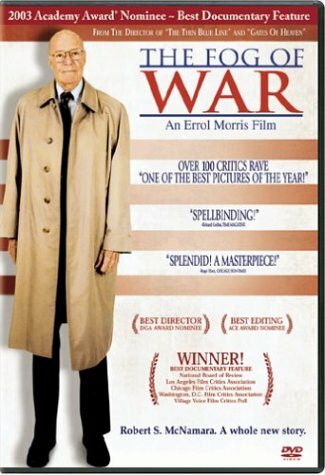 Today’s wars are in a different place, yet McNamara-style justifications, obfuscations, and moral hollowness prevail triumphant. Instead of preventing a communist domino effect on the Asian rim, Bush/Clinton/Bush and Obama are "preventing" independent republics, Islamic and secular, from freely trading their own resources and solving their own domestic problems. Americans like to think they themselves would never tolerate this kind of treatment by a foreign army and its diplomatic corps. We can only pray, as McNamara must have, that there is no karma. Washington executes this aggressive interference with smaller countries as it has for a dozen decades — through economic pressure, including both gifts and sanctions, through military threats and attempted military occupations. Many would say our policies towards Iraq, Afghanistan and Pakistan and Iran today are not the same thing at all as our policies toward Vietnam, Laos, Cambodia and China in the 50s and 60s. Thinking people must disagree. The pattern fits and we ought to own up to that. Oh, but communistic bleedover in the 60’s was one thing, and Islamic fundamentalism, oil control and Israel’s security today is completely different! For average Americans who don’t recognize communism when stares them in the face, have no clue about either fundamentalism or Muslims, don’t understand the global oil and financial marketplace, and forgot about Israel’s place as the richest per capita Middle Eastern country and the only one with 400 nuclear weapons at the ready — trust me, it’s the same damn thing, with the same steady stream of junk news at the spewing end of the state power catheter. Let’s leave for a moment the hypocritical and murderous way we presently deal with the Middle East, a formal policy of threats, military and political interference, and lack of humanity. For Americans, this is mainly a political problem. We know politicians are ignorant and venal, vain supplicants to power and money. As long as our politicians and their appointees, McNamara-style, are killing people and destroying productive infrastructure in other countries, they are providing jobs for us, and what’s a few deaths of otherwise unemployable volunteers in the military? McNamara lives in our hearts. If you liked this intellectual statist and his clean-handed death-dealing, read no further. This is his legacy, and it is us. I am sitting here listening to William Shatner asking about Jon Voigt’s Raw Nerve. Apparently, Voigt and Shatner both find the volunteer soldiers and Marines in Iraq, and presumably their commanders and their leaders, to be pure — Voigt said they have a "kind of purity" and they are "better than his generation" who didn’t want to go to Vietnam. These patriots love what they are doing in Iraq, in Afghanistan. How sweet it is to lovingly serve the state, to build schools while metaphorically and literally murdering the unruly schoolchildren. Why Robert McNamara lived to age 93 is not for us to know. 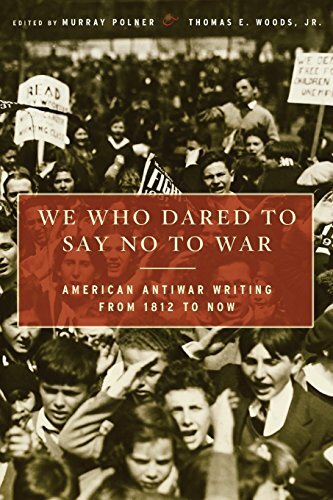 He did have second thoughts, but his decades-late utterances about the Pentagon and Washington’s lies and immorality only enraged those who hated the war, as well as those who believed in the empire. But to mourn his passing is unnecessary. We haven’t learned a thing from his life and crimes. We continue to trust our overseas wars and our patriotic souls to soft-handed, finely dressed, wire-rimmed statist intellectuals and pansy-hearted politicians, beholden to the lobbies of democracy, of national industry, of foreign interests, of empire. We trust them and we send our own unemployable and ill-educated children into the maw, for their own good. To make them strong and pure. To instill in them blind obedience to intellectuals in suits. To train them in the ways of professional and political bean counters who cannot count. Until we the people completely turn our backs on the state, and its beloved empire, we are all McNamarans.